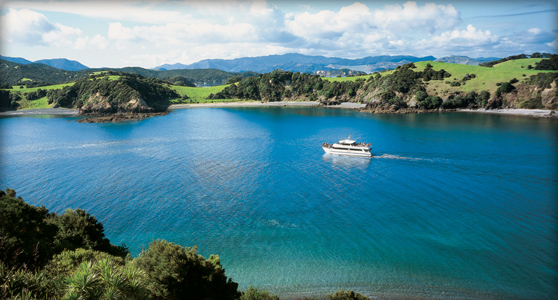 The Bay of Islands is one of the most popular fishing, sailing and tourist destinations in New Zealand. With its sub-tropical climate, it is an ideal location for relaxing and enjoying all the area has to offer. The 16km natural harbour, has several arms that extend into land containing interesting historic towns such as Paihia, Russell, Waitangi and Keri Keri. The area is also home to a number of beautiful Islands that can be visited by boat such as, Urupukapuka Island and Moturoa Island. Paihia is the premier holiday destination for visitors to Northland and is located in the heart of the Bay of Islands. 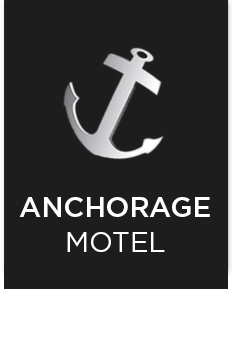 It is a great place to base yourself whilst you explore the area. The area is rich with unique history that ties both Maori and European people together and was the first region of New Zealand. The quaint historic township of Russell or “Kororareka” was the first capital of New Zealand. Take a passenger ferry across from the Paihia warf which drops you at the Russell jetty and take a short stroll to Russell township. Russell Mini Tour is a delight, and you can explore Russell whilst gathering valuable local knowledge. Waitangi has gained its historic significance mostly from being the location where the Treaty of Waitangi was signed on February 6, 1840. The treaty grounds contain the historic treaty house which was originally home to James Busby, who was appointed British Resident of New Zealand. Te Whare Runanga the Māori meeting house stands near the treaty house and is a stunning example of traditional Māori craftsmanship. Keri Keri is the largest town in the Far North District and is a popular tourist destination. The area is known for its abundance of citrus in particular oranges, and was the first place in New Zealand where grape vines were planted. The stone store built in 1832, is New Zealand’s oldest stone building is well worth a look. A Farmers Market offering fresh locally grown produce is held every Sunday morning in the Post Shop carpark. At Manginangina in the Puketi Forest, hundreds of native birds gather to welcome in the day which is now a popular event for tourists. Twelve degrees below the Tropic of Capricorn, lies Cape Reinga, The Tip of the North Island, New Zealand. Maori believe that at Cape Reinga, “the place of the leaping”, the spirits of the departed leap from an 800-year-old pohutukawa tree on the windswept cape to begin the voyage back to their final resting place in the ancestral homeland of Hawaiki. According to legend, spirits begin their passage to the afterlife at Ninety Mile Beach. This magnificent beach arches in an unbroken stretch of white sand for some 88 kilometres and is flanked by the Aupouri Forest, a Narnia-like place where bands of wild horses roam free amid legends of a shipwreck lost in the midsts of time.